I wasn’t going to review this restaurant as I was with a large group of 18 people and thought it might be an unfair comparison to my other reviews. However as we were giving our orders many of the group thought that I should review it as a place that takes a booking for 18 people should provide the same service as a table for 2. As soon as you walk into Tigerlily, you are charmed. The décor is modern and bright, very funky and vibrant. The building is divided into little bar and restaurant areas. We were instantly made to feel welcome in the bar area and at ease while we waited for the rest of the party. Our table was situated at the back of the restaurant. The waitress was very friendly and attentive from the beginning. Since it was a large party we had a set lunch menu, which had various choices for the three courses. 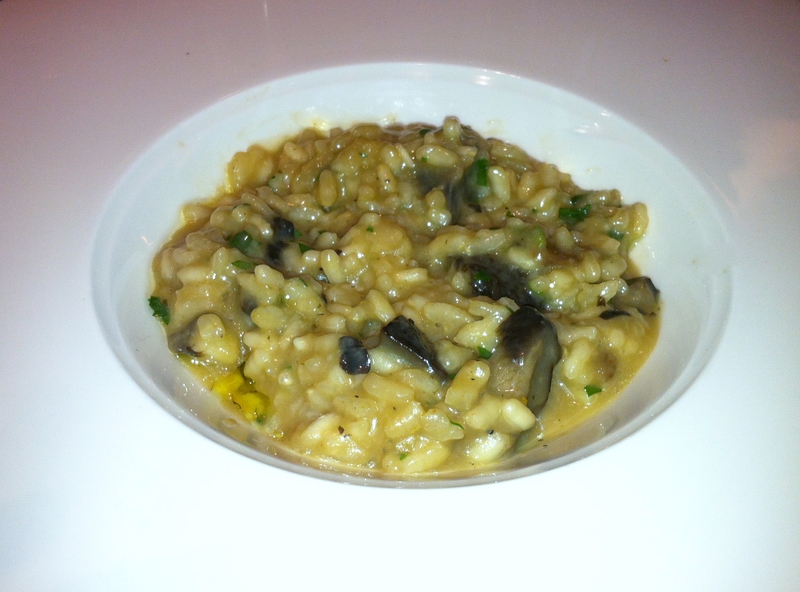 I opted for Wild woodland mushroom risotto, Parmesan tuille and white truffle oil for my starter. I don’t often order risotto as I find that many restaurants overcook the rice but this was not the case. It still had bite and was really well seasoned. The mushrooms were plentiful and the whole dish had a flavour of garlic, which may seem overpowering but the truffle oil balanced this perfectly and left a really nice aftertaste. My only complaint is that the parmesan tuille was missing from the dish. This would have gave it another texture and made it even more tasty. 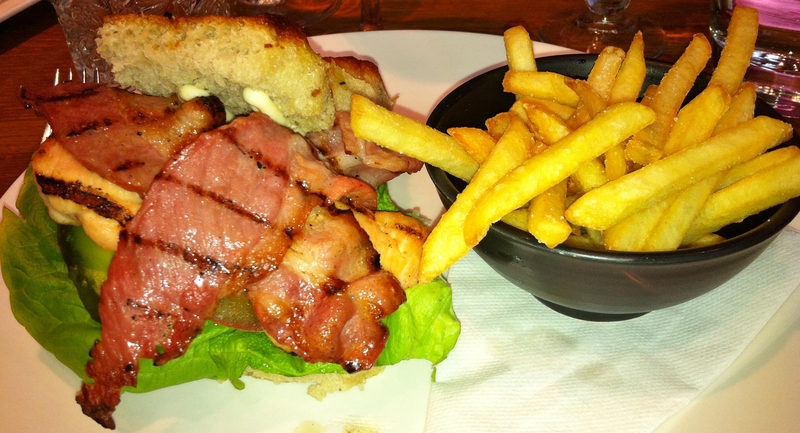 Since it was lunch, for my main I had the light option of Charred chicken, avocado & bacon focaccia which was served with fries. As expected it was a good sandwich but perhaps could have had more mayonnaise on it. The focaccia was also a little too thick therefore broke up very easily when trying to eat. However the chicken was very moist and the tomatoes and avocado ripe and juicy. Nothing amazing but a decent sandwich. I can never see past sticky toffee pudding, it is my favourite. What can I say; the butterscotch sauce was to die for! Unlike many sticky toffee puddings the sauce came in abundance and was so good. The sponge itself was light and not too sweet. Overall one of the best I have tasted!!! Overall, great place for a lunch with friends.